The best holiday gifts are those that are affordable, hand-made, Kentucky delicious, and can be enjoyed by every member of the family. These selections hit the mark on all counts. 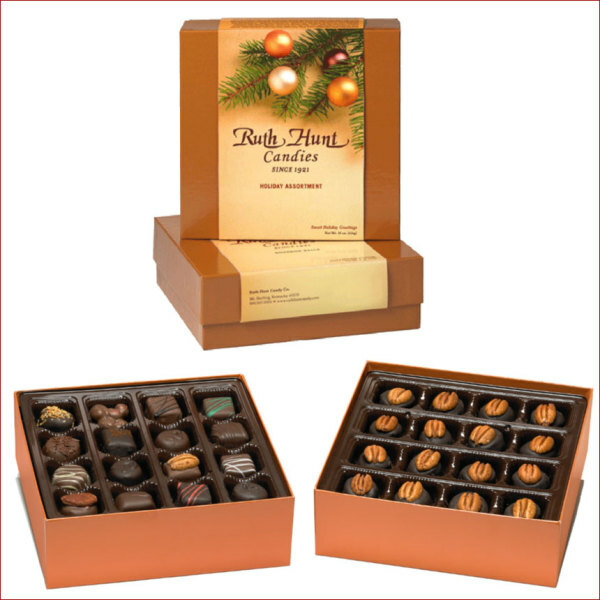 These festive boxes say "Sweet Holiday Greetings" with each heavenly piece. Unbelievably good! Melts in your mouth and sends your tastebuds on overload! Sooooooooo good! Received as a gift and just placed my own order. Best kept secret in KY!!!!!! !